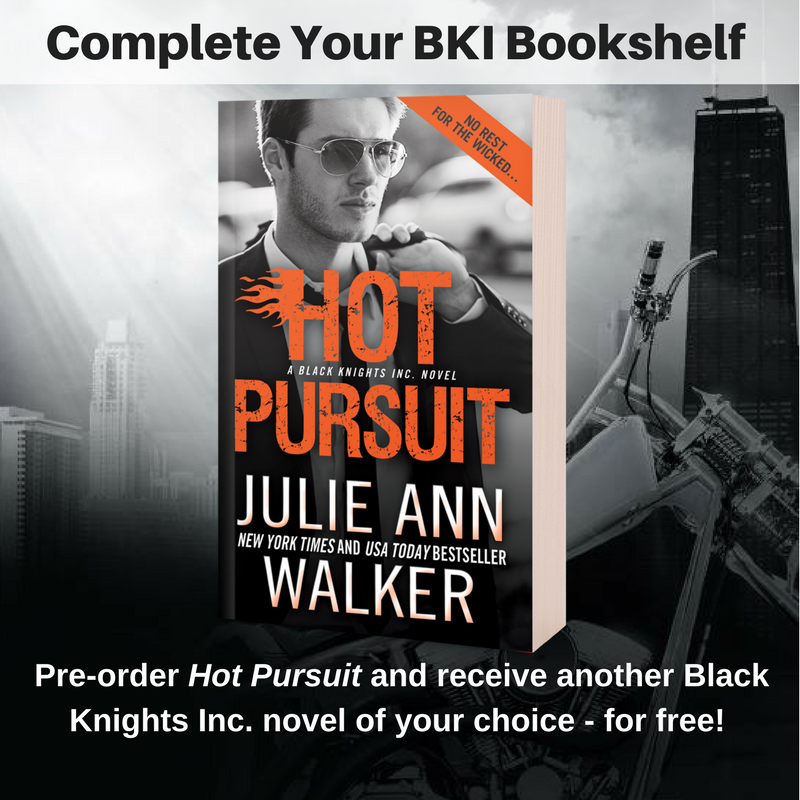 You've all probably seen me gush about how much I love Julie Ann Walker's Black Knights Inc series. That's why I'm sharing this giveaway now even though my review's not scheduled until release week. But if you're a fan of witty banter, you definitely won't want to miss Hot Pursuit. Keep reading for an excerpt, a giveaway and a great pre-order promotion from Sourcebooks. Christian Watson, a former SAS officer and current BKI operator, never thought he would return to England after a terrible turn of events forced him to abandon his homeland. But now he's back on British soil where old enemies are determmeland. But now he's back on British soil where old enemies are determined to do him in. Fighting for his life is pretty much SOP for Christian. Doing it with the beautiful, bossy Emily Scott in tow is another matter entirely.